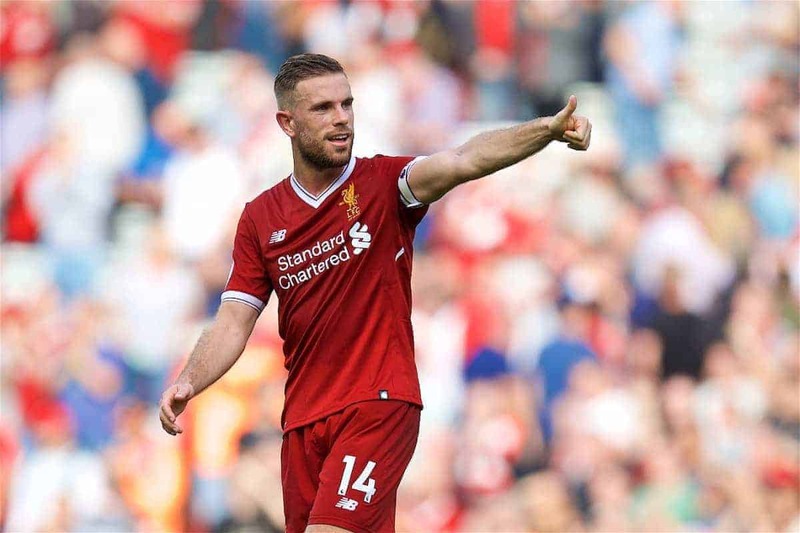 On an evening of remembrance and celebration, Liverpool secured a vital 3-0 victory over Bournemouth as they maintained their form at Anfield. Bournemouth didn’t do anything that warranted a test for the Liverpool No. 1 until the 80th minute—hopefully he managed to have a chat with some of the Reds behind his goal to pass the time. Easy money for the big German this evening, great reactionary save from close range to keep his clean sheet intact. Excellent game for the full-back. Up and down the wing he drove at the Cherries’ defence like a man possessed at times. Not only was his proficient at going forward, his defensive tackles and little nicks of the ball were exquisite. Lets talk about his deliveries though: impeccable, every inch the Man of the Match. On the rare occasion Bournemouth broke forward, the centre-back pairing worked well to deny any space—especially for Jermain Defoe, who we all know can be a danger! Left the field late on after picking up a knock, hopefully it won’t be anything significant as the Croatian has performed brilliantly recently. Same score as his partner as they both bossed their areas today—feels like every ball that comes into the Liverpool area is met by the Dutchman’s head. What can we say about the Scot that hasn’t already been written about in droves? He’s made this position his own. 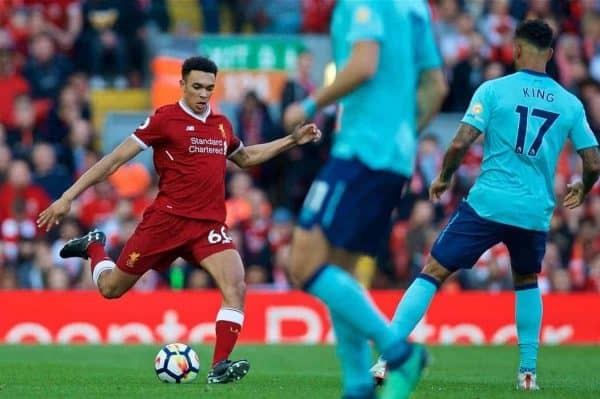 Exceptionally dangerous going forward he also defends like a dream—sure I just wrote this about Alexander-Arnold. How good is it having two exciting full-backs! 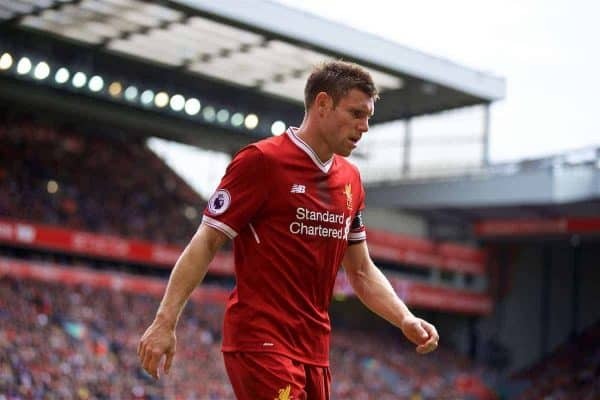 Controlled the midfield and looked to get the ball forward as much as possible—something that gets the Liverpool captain into hot water with those who watch his play. Great ball into Sadio Mane for the opening goal. Spotted the danger on 75 minutes and filled the space to deny a goal for the visitors. Back to a familiar role for the midfielder post-Etihad, he twisted and turned the Bournemouth midfield inside out. Lost count of the times he stole the ball off Dan Gosling and Josh King, solid performance. 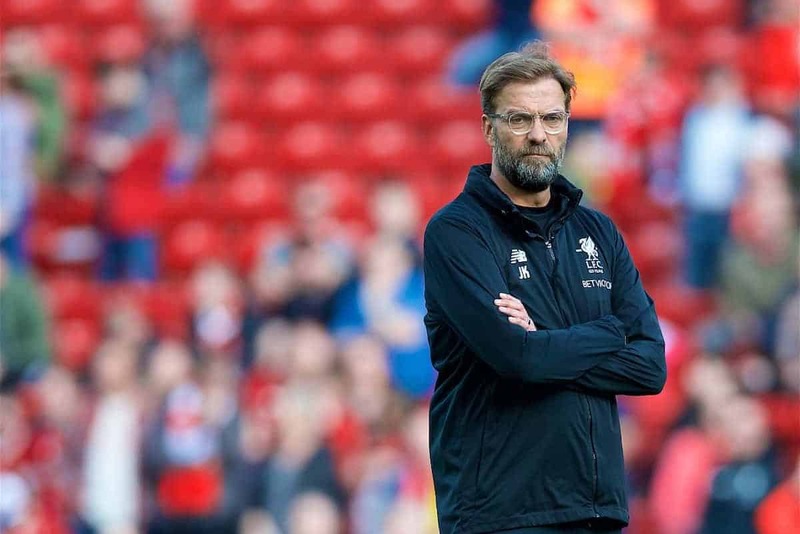 Busy, busy, busy—what a shift the ex-Arsenal player put in, he just keeps going from strength to strength under Jurgen Klopp‘s guidance. Won all of his individual battles, left those around him for dust as he completed all his one-on-one duels to excellent effect. We saw Salah’s answer to the threat against his potential Golden Boot from Harry Kane—hungry for a goal would be one way to describe it. Probably a little too hungry at times, but we can forgive him for once can’t we? 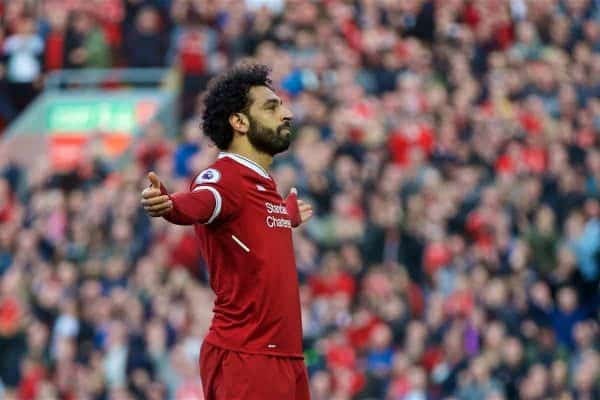 Scored a simply sublime header to bag his 30th Premier League goal, his 40th in all competitions this season—all rise for the King of Egypt. Whatever he had for tea, he needs to have it again—the Senegalese international flew out the blocks and could have bagged a hat-trick by the time the opening goal came. The Sadio smile has returned of late after an absence during parts of February and March, something that in turn makes us all smile. Kept going until the very end and was rewarded with the goal his performance deserved. Should have had one earlier but he didn’t let any frustrations get the better of him. Mr. Dependable with a cameo after running 13km on Wednesday, no idea how he managed anything after his display midweek. Good to see the big man back at the back, could be a more regular feature if Lovren has picked up any more than a slight knock. 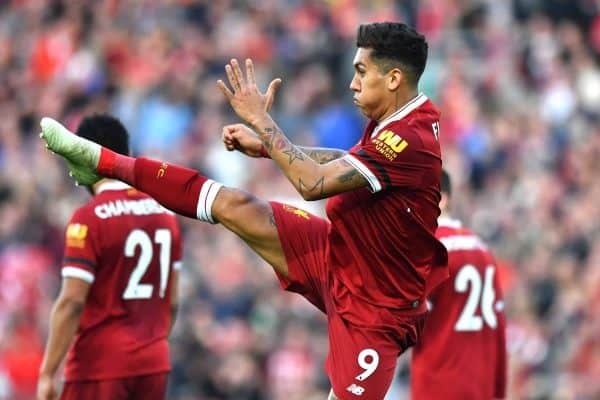 Firmino scored what was Klopp’s side 300th goal, heavy-metal football indeed! It’s been a good few weeks for the boss and let’s hope that continues all the way to the Ukraine.